Iâ€™ve been married for a month now! 🙂 Planning an â€œintimate and elegant weddingâ€ was an exhausting (but quite rewarding) experience in must-haveâ€™s and nice-to-haveâ€™s. Right now, weâ€™re staying in a studio condo in the city weâ€™re renting. It also functions as a home office so we have both personal stuff and work stuff all around the house. It was just ok for single living, but now with both of us and all our stuff, itâ€™s just too crowded and cluttered. Even with constant purging of unnecessary stuff, they do have a tendency to accumulate. The amenities are pretty awesome too (a proper swimming pool, gym, clubhouse). And the community seems safe. Kampante naman ang feeling. Building doesnâ€™t have a proper garbage chute. How silly is that? Might flood outside. Weâ€™re told no naman, but weâ€™ll see. Not quite easy to commute to the mall (because now, I can just hop on a jeep or even walk). But I guess that might be a good psychological barrier so I wonâ€™t spend so much sa mall. So really, how can you beat that list of pros? Then my tita mentioned again about how our family friends would ask her about where we newlyweds are staying. Theyâ€™re expecting us to have our own place na versus renting. Hello? We really donâ€™t know where we want to live yet so weâ€™re not in the proper mindset to commit to a 10-year (or even 15 or 30 or 5) for a property. Weâ€™d have to be able to justify that weâ€™d live in that same area for at least 5 years, commit to the monthlies and maintenance, and all the perks and peeves of home ownership. Which at this point, weâ€™re just not ready for. 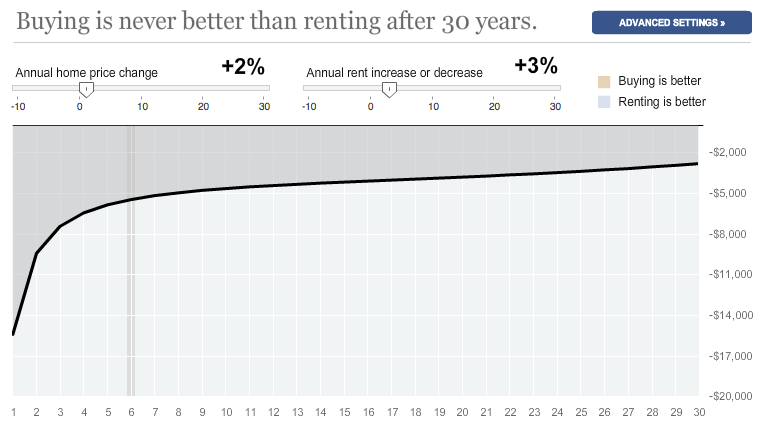 And apparently, the Is it Better to Buy or to Rent calculator agrees with me. YMMV (Your mileage may vary). What about rent as money youâ€™re â€œthrowing awayâ€ every month instead of investing into an asset youâ€™ll eventually own? Rent is really just an operating cost. You just have to spend it to be able to make more money. So, weâ€™ll earn that rent back and much more â€“ so we can have more money to invest or to give or to spend. I think itâ€™s the same whether youâ€™re an employee or self-employed. If you could live nearer your workplace and save time, energy, and money by not commuting â€“ there are cases when that makes sense versus owning a home in a remote village. Or you could work nearer where you live. Then again, maybe thatâ€™s just me. We do live in a country where people donâ€™t value their time as much as physical money. So anyway ghost month is over. On to new beginnings! Happy long weekend!